Here in the UK EE dominate the 4G market as they are the only ones who provide the speedy data service but that is about to end. Starting August 39th, O2 will start to offer LTE in London, Leeds and Bradford with an additional 13 cities to be added by the end of the year. Prices are to start from £26/month and you get a “Happiness Guarantee” if taking a plan straight from O2 in case you ain’t feeling the LTE love. EE do offer a cheaper plan at £21/month but I’m sure when other networks get involved we could see some decent pricing battles as the company’s try to win over customers. O2 are also offering 12 months of free music content but again EE users get there free music from Deezer for the length of there contract. To celebrate the launch O2 is having a launch concert at its Shepard Bush Empire venue and not only that it will stream the concert across billboards in London for those who can’t attend. No word who will be playing at the gig but I’m sure it will be fun. Full details of the other price plans etc are in the press release below. 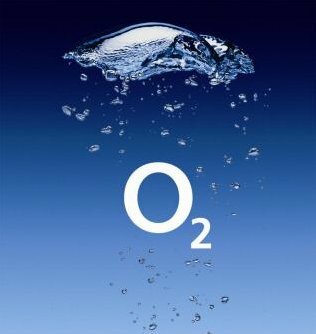 To allow as many people as possible to experience and enjoy the benefits of 4G, O2 is launching a range of tariffs starting at £26 a monthi, which come complete with a 30 day Happiness Guaranteed for customers who sign up direct from O2. Business customers will also be offered tariffs for tablets and mobile broadband from launch and Mobile Wifi (Pop Up Office) in the coming weeks. secure one of the highest proportions of the UK’s lowest frequency spectrum (800Mhz), which was released to O2 at the end of May and was fully cleared by Ofcom this week. This frequency reaches further than any other, delivering the best indoor penetration and outdoor reach. O2 plans to go beyond what has already been offered in the 4G market and bring to life the digital experience for its customers, starting with 12 months free music content for those who buy a 4G consumer tariff direct from O2. Next generation office applications and services powered by 4G will enable O2 business customers to be more collaborative, more efficient and more productive. Further details on O2’s 4G portfolio will be unveiled in the coming months. either in-store or via web chat, to explore the possibilities that 4G will unlock. Business customers can receive a consultation with their O2 business account manager to discuss how their organisation could benefit from 4G.